When they are on song there is no team as exciting to watch as the Hurricanes, they have a star-studded back division, and a pack of forwards that can take on anyone in the world. Their attacking skills and running lines are sublime, often at the expense of defence as they throw everyone into the attack and leave their backdoor open for a counter-attack! The Hurricanes are fun to watch, always. The Hurricanes do have one small problem. When they are not functioning on all cylinders they can, and do, have some remarkable lapses! In 2018 they lost to the Bulls in Pretoria, a loss that shook the very foundations of the game in New Zealand! 2019 may be a little difficult for the ‘Canes. They have lost a host of players in the off-season, whilst their All Black contingent is likely to get limited game time and physical exposure in the run-up to the World Cup. There is continuity in the coaching squad as John Plumtree steps up into the Head Coach job after Chris Boyd’s departure. 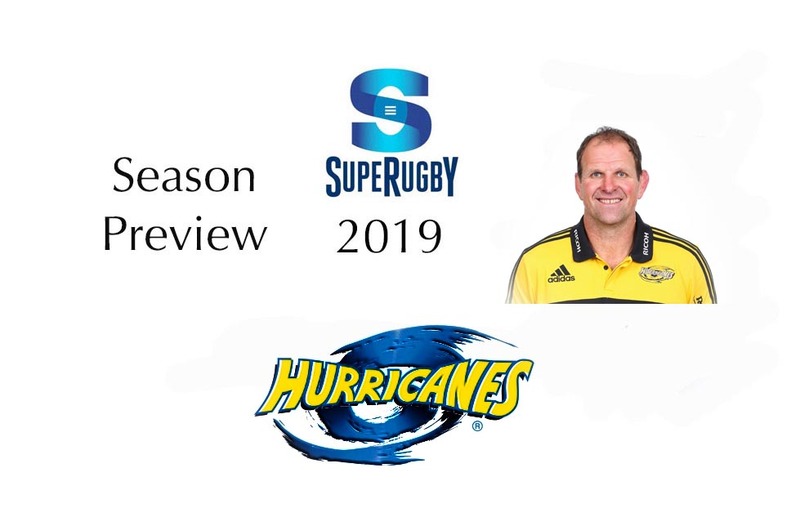 Plumtree has been Boyd’s assistant coach since they 2015 season when they started together as a new coaching team for the ‘Canes. Carlos Spencer has joined the coaching team, bring his considerable knowledge of the game to the practice fields. The Hurricanes have lost some serious forward power with the departure of Michael Fatialofa, Brad Shields, and Blade Thompson. The loss of Brad Shields will hurt their leadership pool as he has worn the captain’s armband for a long time. Amongst the backs the departure of Julian Savea was something of a surprise, perhaps he felt his All Black prospects were fading? Another who came, and went almost as quickly as he arrived was ex-Junior All Black Ihaia West, who arrived from the Blues to understudy Beauden Barret, but lasted just one season before accepting an offer from La Rochelle in France. To replace some of the departees, the ‘Canes have signed the likes of Heiden Bedwell-Curtis from the Crusaders, James Marshall from the London Irish, and Fletcher Smith from the Highlanders. Yet another team loaded with All Blacks who might be restricted in playing time in this Super Rugby campaign. Much depends on the fitness and return to form of Dane Coles, who makes a full return to Super Rugby after almost two years on the injury list. He will want his all `black jersey back! Beauden Barrett will be carefully nurtured to ensure his fitness, freshness, and form later in the year, as will his regular scrumhalf partner TJ Perenara.. There seems to be a slight vacuum in the second row stocks at the ‘Canes. The departure of Fatialofa means that the likes of Sam Lousi and Isaia Walker-Leawere will need to step up a gear or two. Vaea Fifita is an option, but he will want to spend time on the blindside rather than at lock as he eyes an All Black call-up for the World Cup. The Hurricanes have some of the best, most flashy backs in the business, but appear to be just a tad light in the forwards. Contenders for a berth in the final.